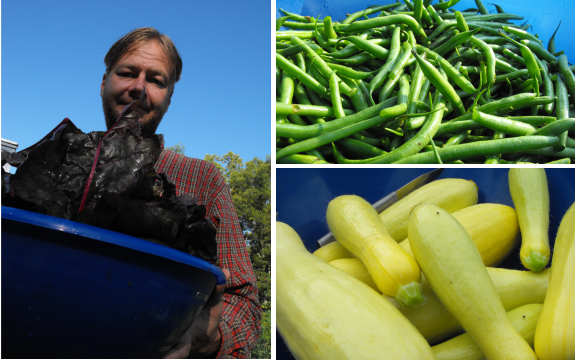 It's been quite a harvest week, with gallons of vegetables making their way into our freezer. I'm most excited by the scads of summer squash from our late planting. We've been spraying them with Bt just in case, but this week I decided to leave a few plants unprotected. If those guys get bored, we'll know we have to keep spraying until the frost. If not, we might be able to leave our fall planting of summer squash completely unprotected next year. Don't miss Mark's homemade chicken waterer.